Asia - Mobile Infrastructure and Mobile Broadband | Market Research Reports® Inc.
Asia - Mobile Infrastructure and Mobile Broadband report is published on June 6, 2018 and has 476 pages in it. 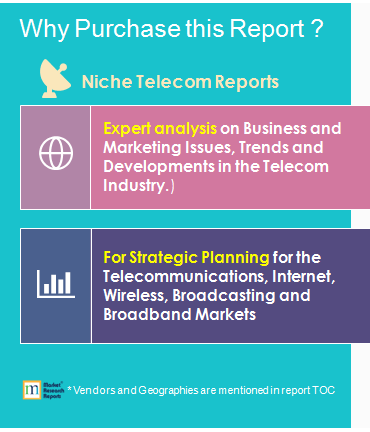 This market research report provides information about Telecom, Country Overview (Telecom), Handsets & Devices, Mobile Services, Telecom Infrastructure & Networks industry. It covers Asia regional market data and forecasts. It is priced starting at USD 3,000.00 for Single User License (PDF) which allows one person to use this report. The countries covered in this report include: Afghanistan, Armenia, Azerbaijan, Bangladesh, Bhutan, Brunei Darussalam, Cambodia, China, Georgia, Hong Kong, India, Indonesia, Japan, Kazakhstan, Kyrgyzstan, Laos, Macau, Malaysia, Maldives, Mongolia, Myanmar (Burma), Nepal, Pakistan, Philippines, Singapore, South Korea, Sri Lanka, Taiwan, Thailand, Timor Leste, Turkmenistan, Uzbekistan, Vietnam. Asia’s mobile and mobile broadband markets continue to see solid growth. The overall mobile penetration rate on average across the entire Asian region reached over 102% going into 2018, up from 83% back in 2012. The mobile broadband subscriber base across all of Asia continues to grow very strongly. With 3G, 3G+ and 4G platforms extensively covering the region, mobile broadband services have already become well established. Whilst there are still developing markets continuing to grow their mobile subscriber base at moderate to high annual rates, there are in fact few countries left in Asia with significantly underdeveloped mobile markets and low mobile penetration rates. Total mobile subscriber market growth will continue to ease off over the next five years as the remaining lagging mobile markets now head toward saturation as has occurred in the more mature markets such as Japan, Hong Kong Macau and Singapore. Although the rate of increase of mobile broadband subscribers has subsided as the initial rapid rollout of services has slowed down, the growth rate is still reasonably strong. There is still significant growth opportunity left in the market over the next five years to 2023, especially in some of the less developed Asian markets that are still dependant on voice networks for mobile services. This BuddeComm annual publication provides a country level analyses of the 34 mobile subscriber and mobile broadband markets across Asia. It includes information on each country’s mobile and mobile broadband markets, key market statistics and key information on the mobile infrastructure markets of each of these countries. Asia is arguably the world’s most diverse region with regards to its telecoms industry. The region contains a vast array of countries, ranging from those with highly mature and advanced telecommunications markets, that are world leaders in the move towards 5G, such as South Korea, Hong Kong, Singapore and Japan, to some of the poorest and least developed countries such as North Korea and Afghanistan. The Buddecomm Telecoms Maturity Index, has been devised as a tool to easily and uniformly compare these different markets. BuddeComm’s “Asian Telecoms Maturity Index”, is an index (on a scale between 0 and 100) that measures and ranks the relative maturity of the telecoms industry in all of the 34 countries in Asia. This report provides a comprehensive comparison of the 34 Asian markets according to a number of parameters such as fixed broadband and mobile broadband. 6.2.3 BICMA legislation – amendment or repeal?